The city of Pleasant Hill has been experiencing an increase in residential burglaries, from Poets corner south. 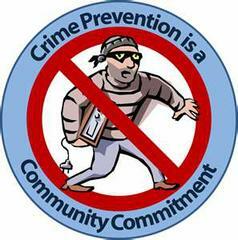 The pleasant Hill Police Department is asking the citizens of Pleasant Hill to please report any suspicious activity that you happen to notice in your neighborhood! Approximately one month ago a Pleasant Hill citizen reported suspicious activity and the Pleasant Hill police were able to apprehend two burglary suspects inside a residence on Oak Park Blvd.